A natural deodorant. Excellent for skin problems. 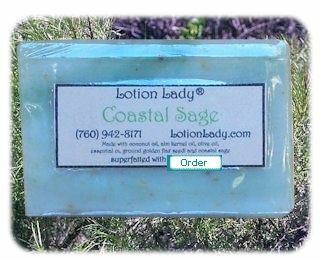 Sage is said to strengthen the senses and memory. Please, avoid all sage products while pregnant. $6.00 each or 3 or more for $5.75 each! Note: If you want to adjust your selection of this grouping at check-out, please set the quantity to zero, click the "Recalculate" button near the bottom of the page and then the "Continue Shopping" button to return to this page. The quantity shown at check-out is for the entire group and discount pricing is automatically applied for two or more items.